The founder and managing consultant of Ascend Consulting is Anamaria Magri Pantea. Holding an Honours Degree in Economics with specialisation in finance and a Master in Business Administration with Distinction, Anamaria has over 15 years of experience in economic and business development, with a particular focus on innovative projects structuring, planning and funding sourcing, their initiation, coordination, supervision and evaluation. She also has extensive expertise in the EU and UN environments and their funding and support programmes (facilitating access to, managing and monitoring its implementation), particularly in areas related to innovation, enterprise competitiveness, entrepreneurship, ICT, energy and sustainability, education and training, and maritime services. Anamaria has both local, regional and international experience, having worked with/in public, private and non-governmental organisations. 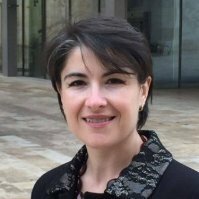 During her tenure at Malta Investment Management Co. Ltd (MIMCOL), she was involved in various consulting assignments – from competitive processes for the valorization of State’s assets through private sector involvement, to the development of Malta’s Vision 2015 and beyond. She was also responsible for establishing and managing the Malta National Contact Point for the EU’s Competitiveness and Innovation Franework Programme focused on supporting SMEs. Anamaria also worked directly with the European Commission within the European Institute of Innovation and Technology (EIT) where she supported the development of the first three Knowledge and Innovation Communities. These are EU-wide pioneering projects bringing together in a long-term collaborative framework businesses, research and education organisations to address current societal challenges (e.g. the use of ICT as an enabler, energy sustainability, climate change). Currently she is still engaged with the European Commission and various other EU, intergovernmental and national bodies, as an independent expert, evaluator and reviewer on a number of their funding and support programmes. These include the Horizon 2020 Framework Programme for Research & Innovation, the programme for the Competitiveness of SMEs and Enterprises (COSME), the COST programme of Cooperation in Science and Technology, the Fusion4energy, Ambient Assisted Living, Eurostars and ERANETMED programmes, the Central European Initiative, etc. Even before moving to Malta in 2004, Anamaria’s work experience had been within the financial and business development services sector. Both as a credit analyst with ROBANK Romania and as an international relations officer with a major regional Romanian Chamber of Commerce, she focused on corporate clients (with a particular emphasis on SMEs), advising on and supporting them in the development of business expansion and internationalisation plans and their implementation, as well as in access to financing opportunities and specific international markets. During that time, she has also been involved in and coordinated the development and implementation of a number of EU funded projects, as well as in evaluating credit financing requests aimed to complement PHARE and SAPARD EU funding to be used for the implementation of investment projects in industry and agriculture. Vincent Magri, the other founding consultant of ASCEND CONSULTING, graduated as Architect and Civil Engineer at the University of Malta in 1990 with a specialisation in Urban Planning. He then pursued his studies in the UK where he read for a Master in European Property Development and Planning and later in The Netherlands where he read for a Master in Business Administration in General and Strategic Management. 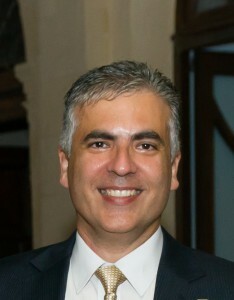 During his career he has been instrumental in drafting a number of Malta’s strategic and local development policy documents that served as a basis for the implementation of local initiatives geared at catalysing the socio-economic regeneration of urban areas and the associated social benefits for the local population. He has also been a pioneer in the establishment of a public participation culture in Malta. His involvement included among others the public participation exercise for the Structure Plan for the Maltese Islands, and the drafting of the Marsaxlokk Bay and the Grand Harbour Local Plans. These Local Plans focused on the socio-economic regeneration of the hinterland of the Inner Harbour region and the south-eastern port area. They included socio-economic regeneration studies for local areas with specific challenges related to Conservation, Restoration, Transportation, Entertainment, Industry, Tourism, and the Environment. The Grand Harbour Local Plan included inspiring projects for Valletta which thereafter have been implemented during the years, in some of them having been again later on involved in a consulting role. Complementing his strategic and policy perspectives on urban regeneration, sustainable and innovative development, Vincent also has extensive experience in the strategic planning, design, management and specific consulting of such projects, initiatives and related business concept, including in an EU and international context. His work as Team Manager with Malta Environment and Planning Authority, and later on as Business Manager with the Institute for the Promotion of Small Enterprises and EU Projects Manager with Foundation Temi Zammit, included involvement in evaluation of applications for EU funds and their disbursement, national representation in EU forums related to Malta’s accession to the EU, and the active participation in, formulation of feasibility and other studies, business planning and management of various socio-economic projects and business initiatives. Some of such projects (supported under the MED and INTERREG programmes) are: The Regeneration of Urban Port Areas (local socio-economic development), InFlowence (innovation flows and policentricity), Enerscapes (Renewable Energy Sources), SeaToLand (links between port areas to their hinterland), IktiMed (innovation and entrepreneurship), CreaMed (facilitating and supporting increased creativity in enterprises), ICE (incubators for cultural enterprises), RiMed (corporate social responsibility). During the period 2012-2015, Vincent has been the Project Manager and Client representative on the New Oncology Hospital in Malta being developed by the Foundation for Medical Services with support from the European Regional Development Fund (ERDF). Today, he is Head of Architecture and Civil Engineering at the Foundation for Medical Services, with responsibility across all its projects.